Is it a yacht? A boat? A submarine? 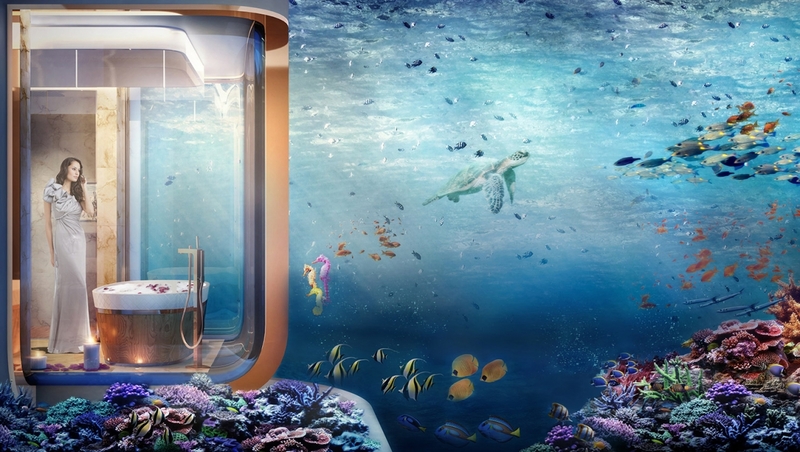 It’s a “Seahorse!” And you can live in it in utter luxury. That’s if you snag one of its 42 apartment units made of glass. Where? Dubai, of course. Dubai is among the most headline-making cities when it comes to over-the-top architectural innovations. Kitschy? Perhaps. Cool? Definitely. 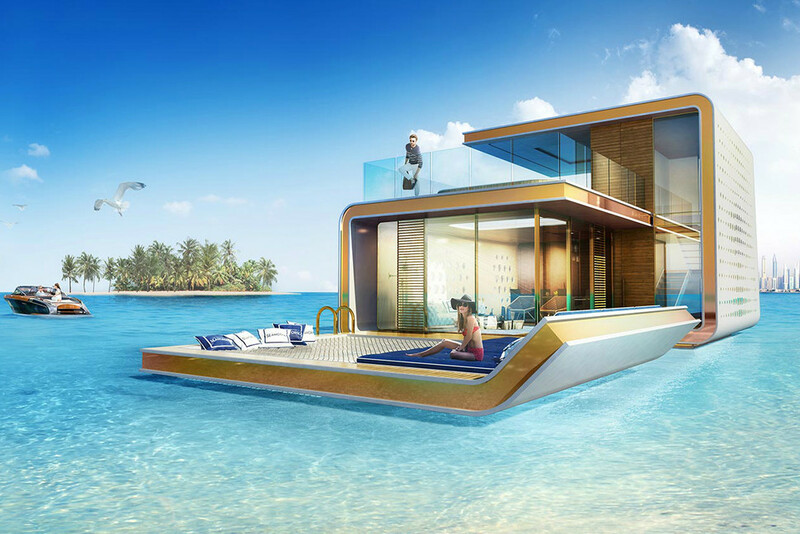 Such as the latest coup: floating villas in the Persian Gulf off the coast of the city. A super glam apartment complex will float about 2.5 miles off the shore of Dubai, featuring 42 flats. 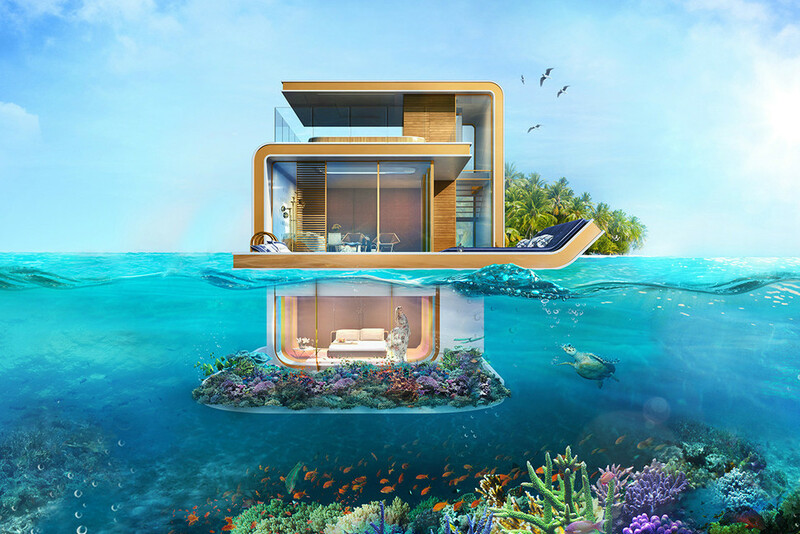 Devised by Kleindienst Group, the biggest European real estate company in Dubai, the project is dubbed the Floating Seahorse. 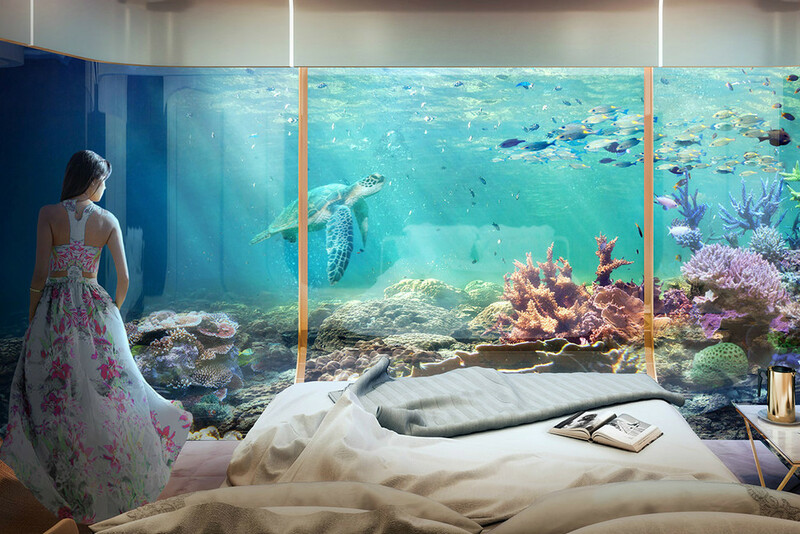 Residents will enjoy between 1,700 to 4,000 square feet of space over three levels, including one submerged underwater section with a bedroom, master bathroom and incredible ocean views – aquarium style. 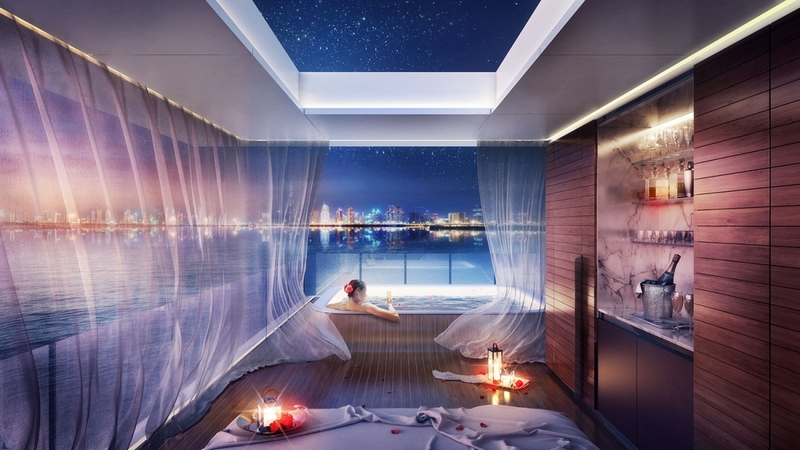 The center level has the large kitchen, dining room, living room and outdoor lounge, while the top level features a glass-floor Jacuzzi and mini bar. 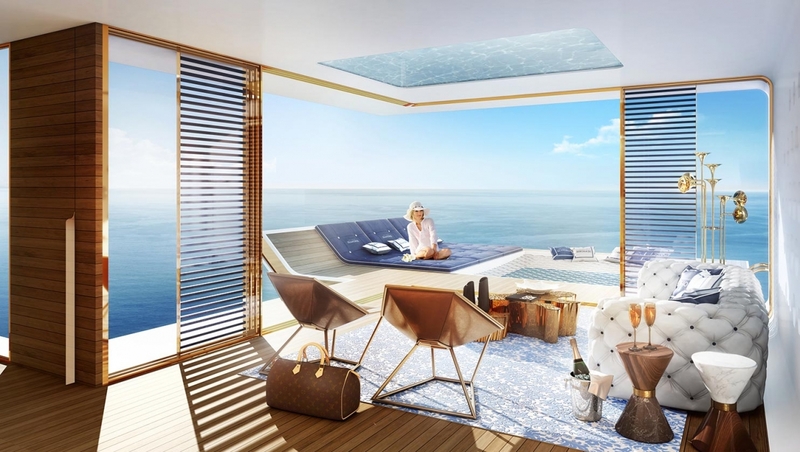 Renderings show beautiful people lounging on the top deck with champagne and candles, observing sea life in the glamorous underwater master suite, taking bubble baths next to coral reefs and chillaxing in the Jacuzzi with gauzy curtains blowing in the breeze, overlooking the glittering shore in the close distance. Also in the works is an artificial coral reef to create living space for the endangered seahorses. The house boat project will be ship shape some time in 2016 and folks will likely start moving in in 2017. 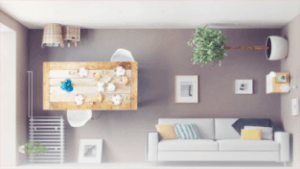 An official price for the villas has not been unveiled yet, but a company spokesperson told Quartz in 2015 that the units are selling for 6.5 million AED.